One of the things that I learned to love as a new mother was baby strollers with car seats. It just makes everything so much easier. You don’t have to worry about lugging around a separate baby stroller whenever you go for a drive. Plus, when it is time to leave, it is so nice being able to just unhook the car seat from the stroller and put it in the car without having to physically move your child. 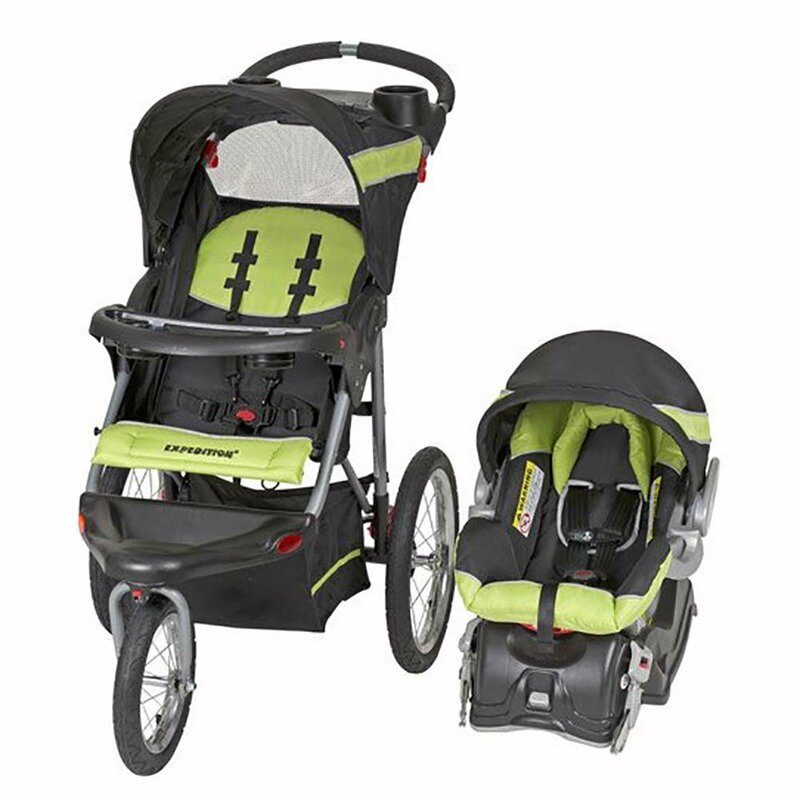 Trust me, as a mother who enjoys going on walks and jogs with her young ones, jogging stroller and car seat combinations, like the Baby Trend Expedition Jogger are must-haves. I’ve said before that I really enjoy jogging with my children. In order to that do that, however, I need a stroller that can really support jogging. In my experience, very few car seat and baby stroller combinations support jogging. So, what I especially love about the Baby Trend and what makes it one of the best baby strollers with car seats is the fact that it allows me to continue jogging. The three wheels and the padding provide a lot of support against jolts while jogging. In fact, I find that my youngest doesn’t feel any of the bumps or jolts while jogging with the Baby Trend Expedition, even over rough terrain. One thing that has always annoyed me (and I’m sure many other parents) about these baby stroller and car seat combinations is how difficult they can make it to move the seat from the stroller to the car and back again. You have to fiddle with levels, straps, etc. It can all be very confusing and difficult. But, I’m happy to say that the Baby Trend Expedition is extremely easy to use. Moving the seat from the stroller into my car was simple and I could easily do it on my own with no help needed. So, I could easily see any parent of any size being able to use the stroller and car seat easily. Another major gripe I have with jogging strollers is that they tend to be more suited for taller people. The grips on them often aren’t adjustable, which means that shorter people (such as those under 5’6) struggle to use the stroller properly. But, this isn’t an issue with the Baby Trend Expedition because has an adjustable grip, so you can lower it to a level that you are comfortable with. The only major downside to the stroller is that the front wheel is a bit loose. Now, the box mentions this, and it says that you will need to manually tighten the wheel yourself. But, I still would have preferred the wheel to come out of the box tightened. If you have been endlessly typing “best baby strollers with car seats” in the hopes of finding the best stroller on the market, you can stop searching because without a doubt this is the best stroller and car seat combo on the market. I wholeheartedly recommend checking it out on Amazon, you will not be disappointed with your purchase! As a young mother, you have every right to feel nervous when buying baby strollers with car seats. However, you can rest assured that this particular stroller with car seat from Baby Trend will exceed your expectations. With its adjustable features and easy installation, this stroller is a breeze to operate and apt for mothers who are concerned about their baby’s safety. Go for it without any hesitation and join the hundreds of other mommies who have made a wise decision to keep your baby safe while traveling. It is an extremely wonderful package that is a blend of safety, comfort, and ease of operation.